Hey guys! Thursday is work day so the looks end up being more formal. Today I wore this orange pencil skirt to give a pop of colour to this look. I think this type of skirt it's a classic that goes well with everything, regardless the colour. Olá! Como quinta feira é dia de trabalho os look acabam sempre por ser um bocado mais formais. Para dar um bocado de cor e evitar o preto total usei esta saia laranja. Acho que este tipo de saia é um clássico que fica bem com tudo, independentemente da cor. Hi dear!! !what an amazing outfit!! i really love how the orange skirt makes a super awesome statement! Btw thanks for your comment and for following! I'm glad you liked it Gabriella! Muito gira a saia, já estou a seguir-te. 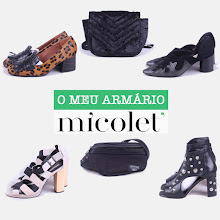 gostei imenso do blog e do vosso estilo, também já estou a seguir!